According to a study published in the American Journal of Orthodontics and Dentofacial Orthopedics, onychophagia, as it is called scientifically, may be a symptom of emotional disturbances. 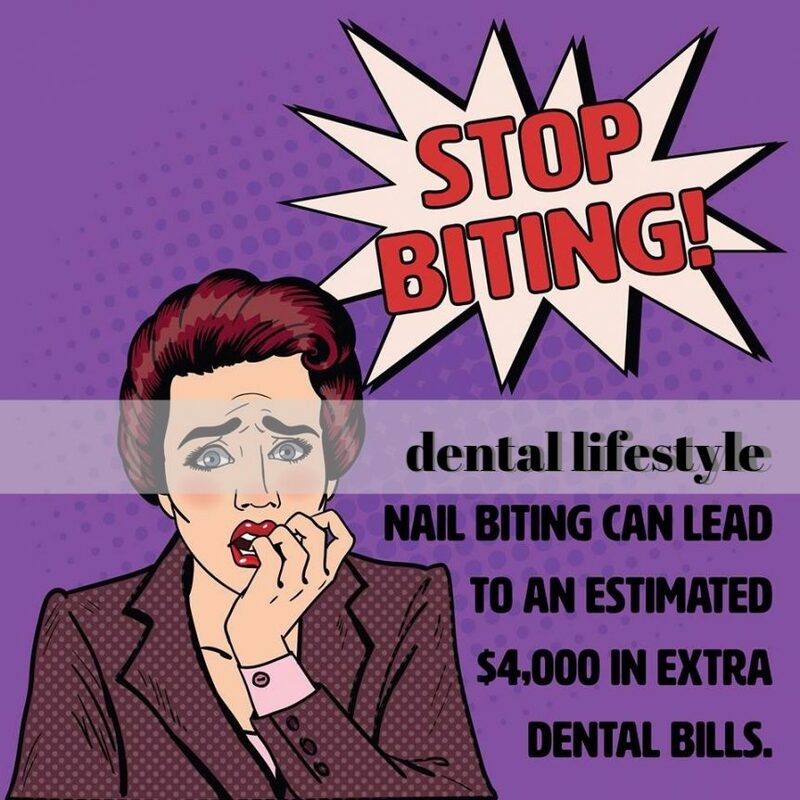 Many people who bite their nails also develop other similar stress-induced habits such as pencil biting, lip biting or smoking. And finally, it can also cause dental problems, which we will analyze a bit more. 1. Exchange of microbes from the nails to the oral cavity and vice versa. All of this microbial exchange can cause serious illnesses in your mouth, which is not always as simple to overcome. 2. Destroying teeth’s cutting surface. This obsession of biting your nails can cause serious damage to the cutting surface of the teeth that can be fixed with a filling placement or a crown. 3. Risk of cracking a tooth. 4. Strenuous procedure even for the gums that will sooner or later weaken. People who bite their nails are more likely to develop bruxism according to Academy of General Dentistry. This habit can damage your teeth, cause problems in your jaws even intense headaches. This is an unpleasant habit that can cause quite a lot of harm to your oral and general health. Consult a specialist to deal with the problem. Below you can find a list of simple tips to overcome the problem of onychophagia. Find a way to keep your hands busy when you have anxiety (anti-stress balls). Use a special transparent nail-polish with a strong bitter taste. Thank you very much for your attention, I hope this article helps! Previous Previous post: How Long Does Your Brushing Last?